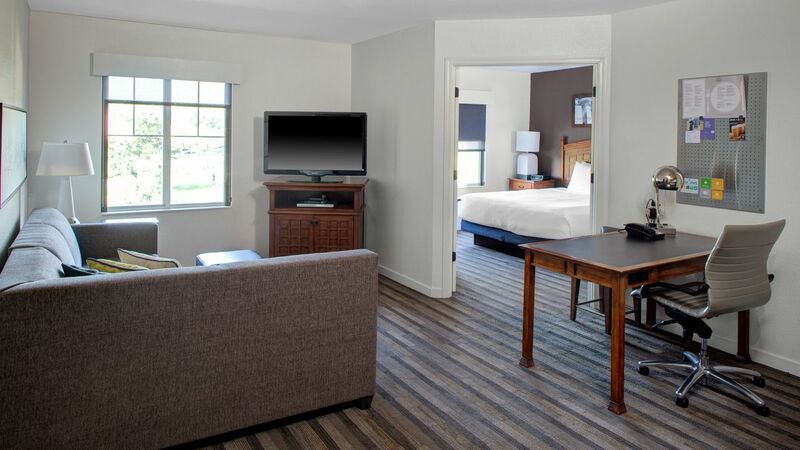 At the Hyatt House Fishkill/Poughkeepsie, we combine spacious residentially-inspired suites with excellent service to ensure you have an incredible stay. Spread out in this larger, 550-square-foot two bedroom suite, with a full size sofa bed and a modern, contemporary kitchen. This 425-square-foot one-bedroom offers a fully-equipped kitchen, with a comfortable bed and linens and touches of style throughout the guestroom. 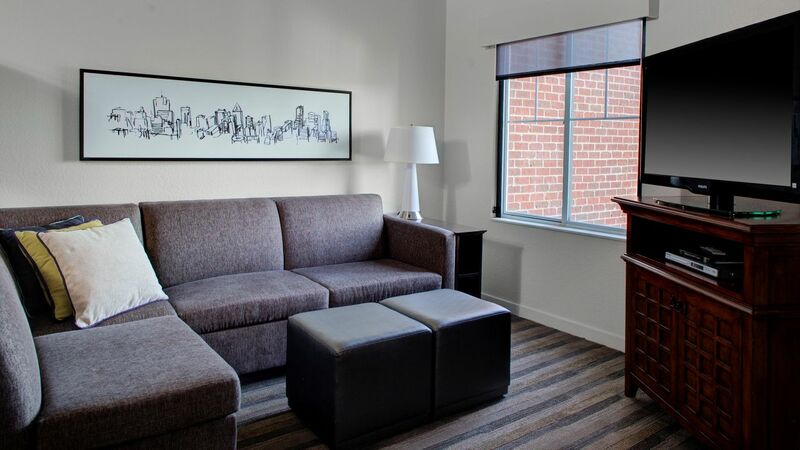 Relax in this 575-square-foot spacious and smartly designed two-bedroom guestroom, with a modern kitchen and deluxe amenities. Enjoy this 450-square-foot one-bedroom guestroom featuring its own conference table, so you can stay productive and get your work done. 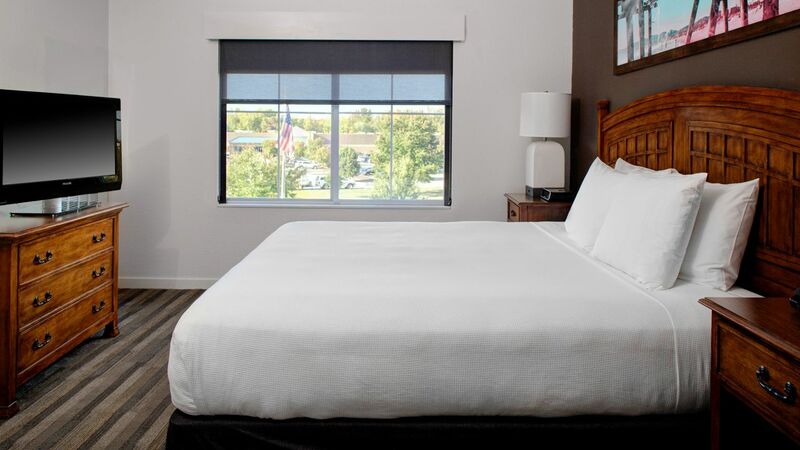 Spacious and smartly designed, our Standard King Guestroom features a plush king size bed in a stylishly appointed room. 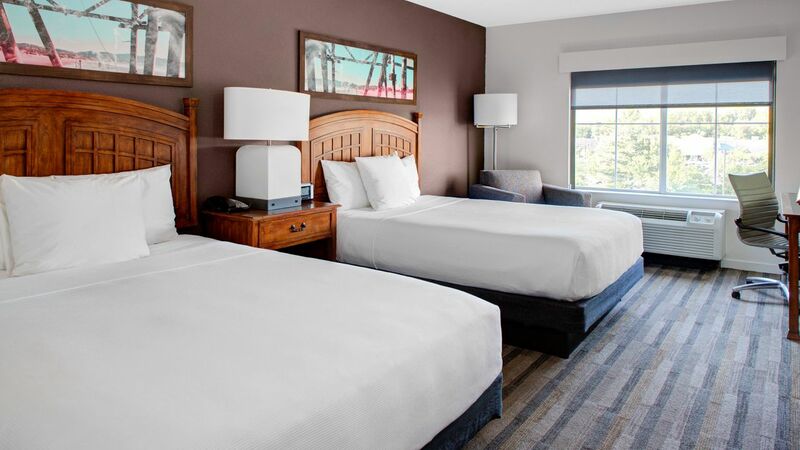 Featuring two queen size beds, our Standard Guestroom Double Queen offers guests a stylish room with luxurious touches and useful amenities throughout. Use this spacious and accessible 525-square-foot one bedroom suite with a sofa bed, fully-equipped kitchen and a luxurious living area. 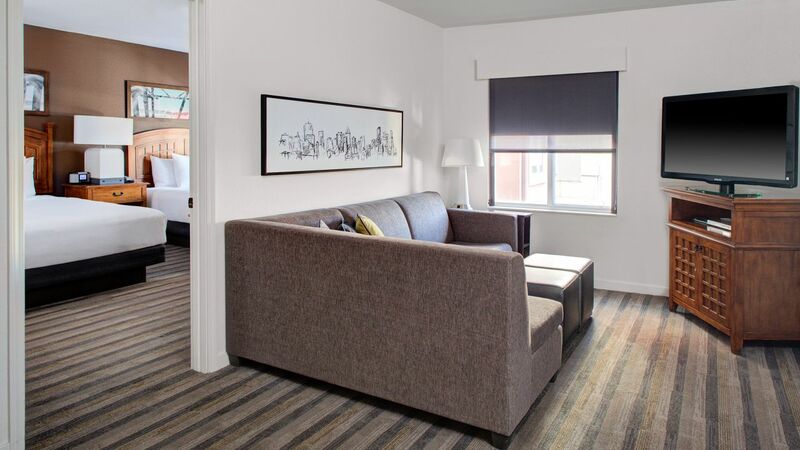 Stay in comfort and in style in our 425-square-foot guestroom, with modern lifestyle amenities, a contemporary kitchen, and a roll-in shower. 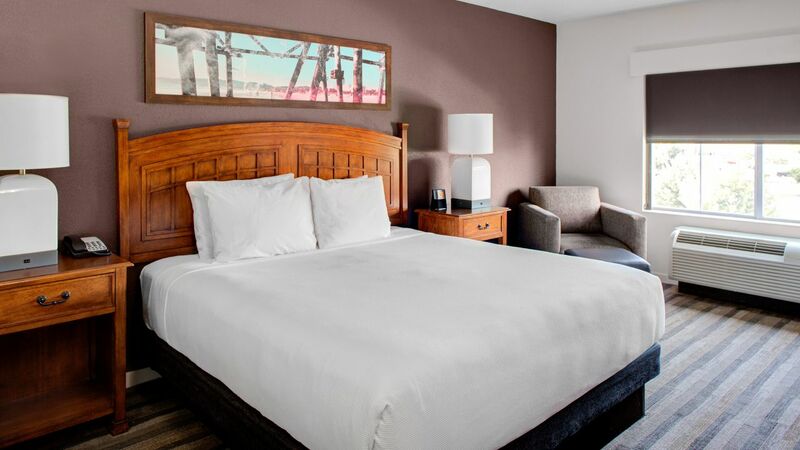 Sleep in a luxurious double Queen, 525-square-foot guestroom with comfortable bedding, modern amenities and an accessible bathroom with roll-in shower.